Kennelbach/Austria — HEAD is proud to announce a multi-year partnership with tennis legend John McEnroe. As part of the agreement, the former World No 1. and one of tennis’ all-time greats will play with HEAD tennis racquets while competing in the senior events on the ATP Champions Tour. During his iconic career, McEnroe set several long-standing records, won seven Grand Slam singles titles, the best year winning percentage ever in 1984, as well as a record eight year-end championships. He achieved to be the #1 ranked player in the world for 4 years. His career was crowned in 1999 when he was inducted into the International Tennis Hall of Fame. After his retirement from the ATP Tour, McEnroe joined the ATP Champions Tour in 1998. 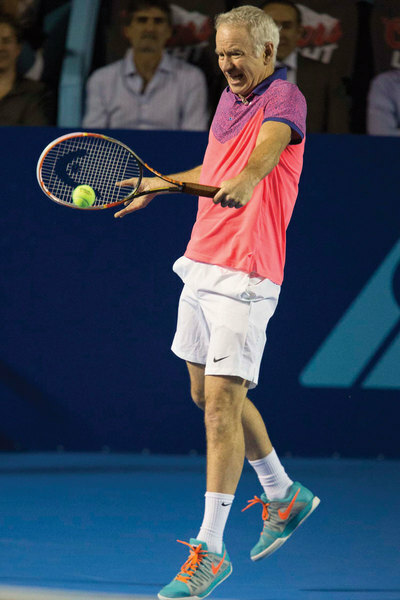 He will continue to go after titles with HEAD racquets, which are equipped with the latest technologies and innovations to serve every playing need and style.